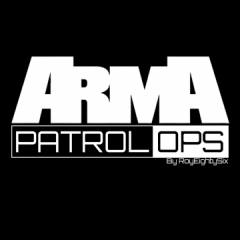 As I'm not going to update the Arma 2 version, and it seems this script might work on A3 with minor changes, I'll post it here so we can work on it together. zuff and cuel already made some fixes for the hint notification in the A2 thread. I've included those in the version posted here. Disclaimer: I still don't have time or motivation for the game. So, I have not tested this script in A3 myself. However, I will do my best to make this work if there are bugs/changes needed. - The script is server driven; all task additions and updates are called on server side. All changes are broadcasted to players in one array variable. This enables more work to be done only on server, since most of AI-related things happen there anyway. This way the number of triggers placed goes down, as they are unnecessary for clients (players). Number of publicvariabled variables goes down also. - Only one eventhandler is created instead of one per task. - As tasks are kept in an array, no global variable is created for each task. - No "call compile format" type of coding. - Variables used to check for task states and statuses are replaced with functions, cutting down number of global variables. - Usage simplified; briefings are easier to create, some parameters are made optional. Marker        array     Marker related to the task. It will be created only for the units who have the task. Marker will be hidden after task is completed. Can be an array of marker arrays, if you want to create multiple markers. Name        string    Name of the marker to create. Position    string    Position of the marker. Type        string    Marker type. Optional, default is "selector_selectedMission". Color       string    Marker color. Optional, default is red. State         string    Task state of the newly created task. Default is "created". Destination   object/position/marker   Place to create task destination (game's built-in waypoint/marker). If an object is given, setSimpleTaskTarget command is used, attaching the destination to it. Size          number or array     Marker size. If number given, it's used for both X and Y dimension. Then there is the IF syntax, so you can create a condition anyway you want, where _x is the unit (=player). The task state of the newly created task. Valid states are succeeded, failed, canceled and assigned. Default is assigned. Condition    boolean/side/faction/unit/group/string   Units the note is added to. Default is everyone. Task states are updated by calling a function. Possible states are: succeeded/failed/assigned/canceled. It's possible to set state of one task and set another as assigned using an optional 3rd parameter. This will make task state of task Task1 to succeeded and the state of the task Task2 as current. Another optional 3rd parameter can be used to add a new task after updating another task. This will make task Task1 as succeeded and create a new task Task2. Same set of parameters is used for the creation as in init.sqf or SHK_Taskmaster_add. Tasks can be added after briefing with the add function. Same set of parameters is used as in creating a briefing. The new task is set as current task automatically. This function can be used to check if task(s) is completed. Task is considered completed with states succeeded, failed and canceled. Function returns a boolean (true/false) value. Same as above, but only takes an array as parameter. Returns list of tasks which have "assigned" as their state. Returns the task state (succeeded/failed/canceled/assigned/created). Checks if a task's state matches the given state. Function returns a boolean value. Checks if a task with the given name has been created. Returns boolean. Sets the given task as the current task. Creates a briefing note. This can only be used on client side, and it's not boardcasted for other players. Parameters: ["Title","TextBody",Condition], Condition is optional. I'm sure there are something to fix, add and change. Don't be afraid to ask for instructions, give feedback or report bugs. The best task system ever, nice one shuko. Does anyone know why the tasks are making three/four at a time? It happens when I create them during the mission for some reason... Also, I am creating the tasks with this (see below) but through a script which I have done before which worked fine. Are you trying to create multiple tasks at the same time? If so that's probably why it's happening, a guy I know (bangabob on here) had that problem anyways when he tried to create a few tasks through the same trigger. Btw shuko, the only thing I've seen it give an error for so far on Arma 3 was using a group name as the condition. It still worked but gave an error message which went away when I switched it to just east/west instead. If multiple add/upd calls are used nearly simultaniously (for example in same onAct field of a trigger) the tasks can multiply. calls, for example "sleep 1;". So were your delays just too short then? I've been using the taskmaster for ages. Works perfectly. Cheers for the great work Shuko! [/color]Btw shuko, the only thing I've seen it give an error for so far on Arma 3 was using a group name as the condition. It still worked but gave an error message which went away when I switched it to just east/west instead. How exactly was the group condition used? Is there a way I can make a task that will succeed for Blue but Fail for Red - without making two tasks (one for each side)? I have a multiplayer mission that uses a radio command to select a marker on the map and spawn OPFOR on that maker and create a task for that marker. With only one player in the mission, this works perfectly and I only get one marker on the map. When there is more than one player however, I get two markers at a time. Any ideas? A radio is a trigger on the map. A trigger on the map executes for the server and each client on the map. Always be careful spawning things from triggers and make sure only the server does by running a script and having a isServer check at the top or something similar. That is probably because actions added with addAction are run locally. So, when a player uses an action the server will not know anything about it, unless you tell it. Thanks everyone for your assistance. I used Kylania's recommendation and added an isServer check in the .sqf that I was calling from the radio trigger and it's working great now. It turned out that the issue I was having had nothing to do with SHK_Taskmaster. My error.. newb scriptor here. On another note... I was trying to to use a variable for the task name in the call line to create a task using SHK_Taskmaster and am having some issues there though. Basically, I have created a script that allows you to request a task via Radio Alpha. What I wanted to do was to create a variable, like taskNumber = 0; and then each time a request for a task is performed, increment taskNumber +1, then create a string for the task name, like taskNumberString=("Task" + str(taskNumber)), then use taskNumberString (the variable) as the task title in the call line to create a new task via SHK_Taskmaster. When I set this up in my script though, I received an error when trying to create the task regarding the task name. Sorry I don't have the exact error message as I am not at home right now. I'm just amazed at the talent of the people that work on scripts for Arma though.. truely amazing work. Sorry 1st time here don't know how the use the editor for code! how do I do this with your s/program, also I'm at a lost with doing markers in the code, & do I need to place them on the map? You'd use the taskMaster_add function to create new tasks. The only thing you need for marker is the position where it should be, can be anything from an array to an object. Can i change that to the Arma 3 units without messing it up? Yes you can do that. However, I updated it myself and uploaded the new version.